As a collective member of SRLP and a gender non-conforming working class person, I urge you to donate to SRLP now through Give OUT Day (May 21st) to resource the work of providing free, respectful and affirming legal services, building movement power, and struggling and living beautifully to realize a vision of trans liberation rooted in racial and economic justice. Give OUT to SRLP Today! The recent events of anti-black racism and transphobic violence, part of a long history of assault against our communities, as well as our communities showing up in the streets in solidarity and support, have renewed my commitment to SRLP’s work in our movement. We mourn the murders and deaths of so many people of color and trans and gender non-conforming people this year. We affirm that no life is disposable and commit to our collective liberation. Help us reach our goal by fundraising for SRLP! Set up your own fundraising page with a goal from $100 to $1000 or more! Our top 3 fundraisers will get a SRLP tshirt and everyone gets lifetime appreciation! RSVP to our #GiveOUTDay event on Facebook to get campaign updates! Invite all of your friends to attend and spread the word. 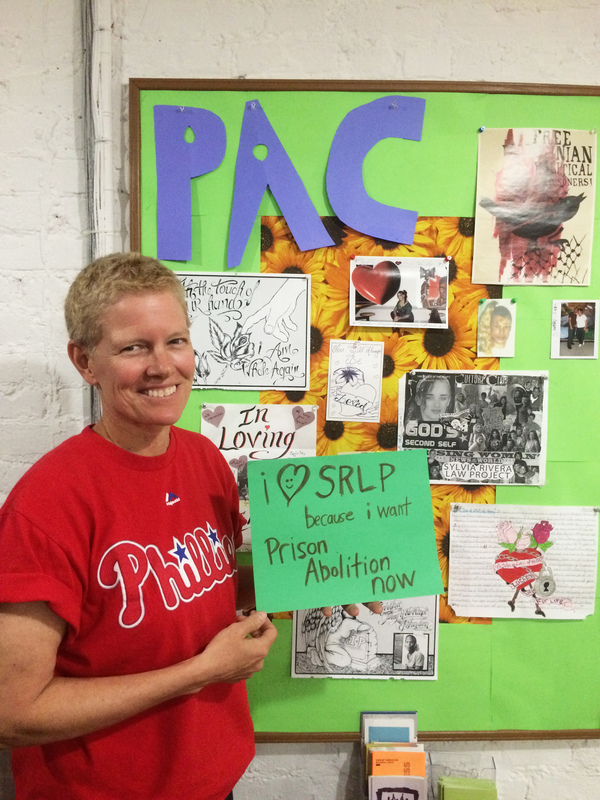 Share a link to our GiveOUT page on your Facebook or Twitter telling folks why you support SRLP, and share a photo of yourself with a sign stating why you love SRLP! See my photo for inspiration! We celebrate the strength of what we can achieve when we come together in support of one another and in solidarity, and that our communities grow in strength despite an ongoing onslaught on our livelihoods. We could not do this without the help of our grassroots supporters and the many folks who stand in solidarity with us. Please give us $5 for #GiveOUTDay at http://tinyurl.com/supportsrlp! Krissy showing her love and solidarity for trans and gender non-conforming people in prison.